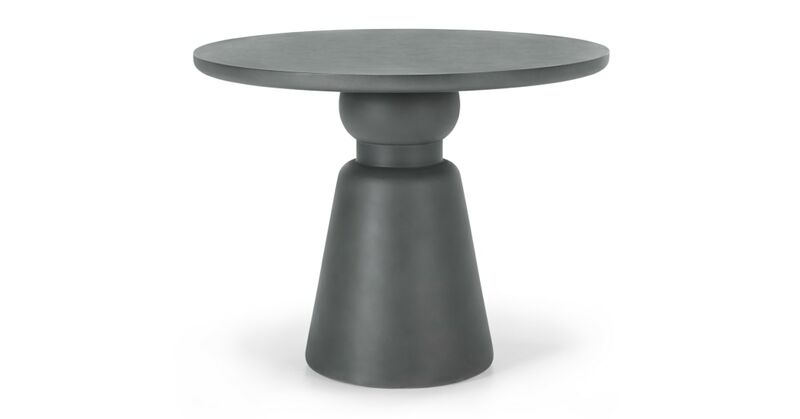 In textured dark grey, with a curvy silhouette, this concrete dining table is durable and different. It'll look as good as whatever you serve when it comes to entertaining. Soft form concrete contrasts the industrial origins of the material – mix up your garden space. The textured Grey colour is another deft design touch. Level up your socialising options thanks to the rounded table top – it makes extra guests no problem, but will comfortably seat four. Combine with the matching stools.